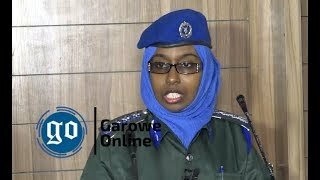 GAROWE, Puntland - Puntland President, Abdiweli Mohamed Ali "Gaas" held a special meeting with the Commander-in-chief of Puntland Security Force (PSF) Asad Osman Abdullahi, known "Diyana" in Garowe, the State Capital, Garowe Online reports. 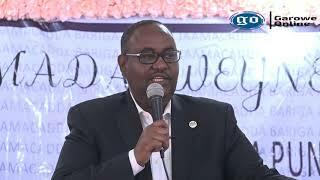 Sources tell GO that President Ali asked Abdullahi to tender his resignation from office since he eyes to run for President of Puntland in the 2019 polls. 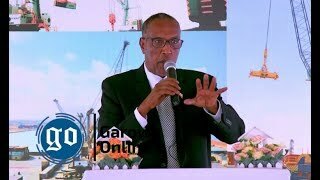 This came amid worsening Security situation in the main Commercial City of Bosaso which has in the past few years witnessed a wave of deadly attacks and assassinations targeted Security officials. The Chief of PSF, according to the sources has declined to swiftly respond to the President's recommendation to leave his job, noting that the issue is not yet in its right time to speak. The meeting took place at the Presidential Palace of Puntland in Garowe city just days after the President returned from Mogadishu, where he attended the 6th National Security Council forum held early this month. GO has learned that President Ali who is currently facing pressure from members of his inner political circle who are worried about the move of PSF head, saying it could abate government's efforts in the fight against insurgency in Bari region. Since President's associates fear it might divert Abdullahi's attention towards the war on the militant groups, and subsequently could damage Ali's public support. Due to this, President Ali who in his final year in office is likely to sack PSF boss if the situation remains unchanged. The incumbent is seeking a re-election in 2019. 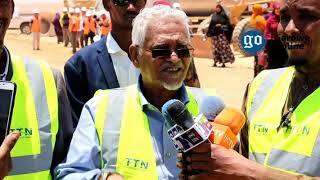 While running a 'self-funding campaign', Abdullahi is trying to win the support of State Parliamentarians, Presidential Advisors, a number of Ministers for a Political support as he maintains close relationship with Interior Minister of Puntland, Abdullahi Ali Hersi "Tima Adde"
The latest reports reaching GO indicate that PSF commander has left for Bosaso after staying a week in Garowe, where he rented an expensive building, where his Presidential campaign was launched, doubting Ali's supporters. 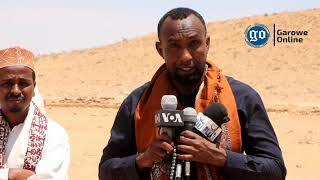 Abdullahi who has succeeded his father as the Director of Puntland Security Force [PSF] is now shifting in the political arena. Puntland Security Force [PSF] which receives funds and training support from the U.S. is fighting against the terrorist groups, Al-Shabaab and Pro-Islamic State militants based in the region.